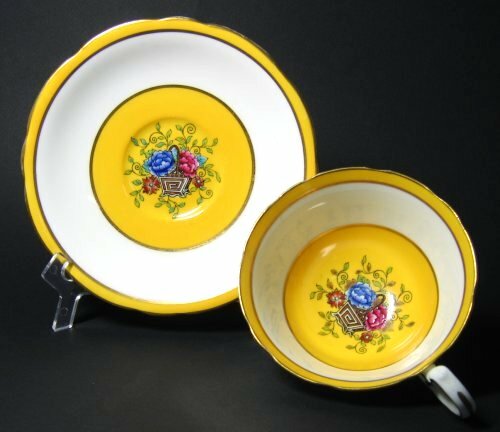 Vintage Aynsley Oriental Deco Mustard Yellow Tea Cup and Saucer! GORGEOUS Aynsley with an Oriental Deco styling. A bright golden yellow platforms this excellent oriental style planter with flowers. Some wear on the gold trims. 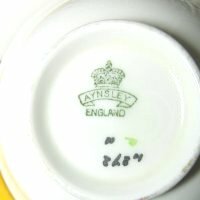 The pattern is H872 H A, with backstamp " Aynsley England" in black. Possibly dates to 1920s. 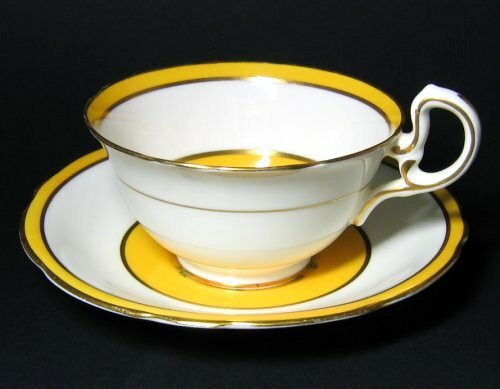 The tea cup is 2" high by 4" wide, and the saucer is 5 1/2" across.